Francis Fukuyama, that naïve American thinker in 1989 in his infamous essay predicted the end of History and followed up the same thesis in his book in 1992. He was so humbled by the geopolitical tsunamis that have followed in the last two decades witnessing two major wars in the Persian gulf and the Af-Pak region; break-up of Soviet Union and Yugoslavia, divorce of the Czech Republic and Slovakia, toppling of some Arab Despots in South-West Asia; and emergence of new nations like Eritrea, Kosovo, Macedonia, and South Sudan. History was, indeed, made in 1947 when the Imperial British Government abdicated its legal responsibility to control a murderous call for “direct action” and hurriedly partitioned the Colonized India into the Republic of India and the Islamic Republic of Pakistan. “An independent Scotland can be a beacon for progressive opinion south of the border and further afield, addressing policy challenges in ways that reflect the universal values of fairness and capable of being considered, adapted and implemented according to the circumstances and wishes within the other jurisdiction of these islands and beyond”. UK Prime Minister David Cameron has vowed to “fight with everything I have to keep out United Kingdom together”. He further states: “To me, this is not some issue of policy or strategy or calculation - it matters head, heart and soul. Out shared home is under threat and everyone who cares about needs to speak out”. For the next two and half years a sustained debate on divorce, harsh rhetoric generated from both the sides and rekindled nationalistic fervor in Scotland may eventually swamp the status quo. The mainstream UK politicians from the three large parties (Tories, Labor and Liberal-democrats) have tried to scare the hell out of Scottish voters. They would allow only two options in the referendum; keep the status quo or have total independence in the 2014 referendum. Alex Salmond and the SNP have demanded a third option of home rule also that would entail maximum devolution of powers under the UK (so-called Devo Max, Devo plus or independence-lite option). In 2011, the UK treasury said the level of public spending per head in Scotland was 1624 pounds higher than in England. The debt to the UK tax-payers for bailing out the Royal Bank of Scotland was 26 billion pounds. Inherent is the implicit threat that with total independence comes the fiscal responsibility. Scottish Social Attitudes Survey done in 2009 found that 61 % of Scots trusted the Scottish government to act in Scotland’s interest versus 25% who trusted the British government. Those who argue that Scotland would be too small to go it alone forget that with a population of 5.2 million, an independent Scotland would be comparable to other European mini-states, e.g. Croatia 4.41 million, Denmark 5.5 million, Estonia 1.34 million, Finland 5.3 million, Macedonia 2.04 million, Norway 4.7 million, Ireland 4.6 million, Kosovo 2.4 million, Latvia 2.24 million, Lithuania 3.26 million, Slovenia 2.03 million and Slovakia 5.5 million. It will certainly be larger in population than tiny Montenegro with a population of less than one million (626000). Scotland would have anywhere from 81% to 90% control over the North Sea Oil and 8% share of UK’s assets and liabilities. UK’s national debt of 1.1 trillion pounds and the 8% share of Scotland (in proportion to Scottish population) would come to 88 billion pounds of debt independent Scotland will have to cope with. North Sea Oil has so far generated 250 billion pounds revenue for the UK central government. Despite decline in yield 6% per year, further pumping of crude would generate further 54 billion pounds in the six years to 2016/17. Perhaps, the European Union would be over-eager to embrace an independent Scotland because of highly ambivalent relationship with UK. Following the World War II, the UK, one of the major colonial powers, was forced to give up its colonial possessions owing to changed geo-political circumstances and its fiscal inability to project power internationally. With a deeply contracted economy, a bankrupt Britain was unable to overextend its forces. It started decolonization process reluctantly and slowly. Liberation of Scotland from the UK would be an ultimate exercise in decolonization since the time original Scottish parliament (Estates of Scotland) was dissolved in 1707 under pressure by the Act of Union 1707 to form a Parliament of the Great Britain. Establishment of an Independent Scotland would unleash the genie of a chain reaction leading ultimately to dissolution of the UK. 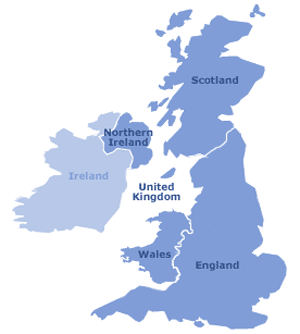 After independence of Ireland from the UK in 1922, Northern Ireland was retained as a province of the UK. Independent Scotland will act as catalyst to spearhead the drive for re-unification of the eight counties of the Northern Ireland with the rest of Ireland and lead to a united republic of Ireland. In this context one recalls the correspondence and contacts between the Irish freedom fighter Hugo de Valera and MK Gandhi in the early part of the 20th century. Both these wise men appreciated the predicament of their respective countries and provided moral support for the idea of total independence from Britain. Since the end of WWII, UK has had a disproportionate influence on international affairs. Some of this was achieved by a Machiavellian “special relationship” with the reigning super-power, US earning it the nick-name “America’s poodle”. The fact that it was a former colonial power and continued to have a permanent seat on the United Nations’ Security Council helped UK wield undue geo-political influence that was not commensurate with its economic, mercantile and military power or so-called comprehensive national power. The fact that the UK chose to exercise its soft power judiciously by using British Council scholarships for academics and civil servants from the former colonies served British geo-political interests very well. UK used its higher education system, especially Cambridge and Oxford Universities to continue to impart its footprint on the psyche of newly minted mandarins from the former colonies who liked to be perceived as “British trained” or “UK returned”. UK cleverly continued to hang on to the former colonial possessions by stitching them together in the glue of the Commonwealth. However, after the possible secession of Scotland in 2014 and after the eventual dissolution of the UK, perhaps a tiny England may not be able to hold on to its seat on P5 in the UNSC. This would also have bearing on the remaining 14 British overseas territories (or colonies still under possession of the UK), e.g. Falklands, Bermuda, Jersey Island, Montserrat, Cayman Island, Isle of Man, British Virgin Islands, Gibraltar, Diego Garcia, St. Lucia etc. Will Falkland be still under English control in 2015 is a question English policy establishment needs to ponder over! 2014 may well be the watershed year that would lead to eventual independence of three new European countries historically colonized by the Imperial England, namely Scotland, Wales and the Duchy of Cornwall. If and when that happens, the United Kingdom will be allowed to fade away into geo-political oblivion. Perhaps, at that juncture, a diminished England may choose to republicanize the nation, frame a new written constitution that it currently lacks, have a codified bill of rights, abolish the hereditary House of the Lords, retire the anachronistic Windsors (the English royal family) permanently and award them an annual “privy purse” as compensation just like India did! Such a roadmap may ultimately lead to a tiny England joining the USA as the 51st state just like Hawaii in order to maintain that “special relationship”. As the former colonial power, the UK had immense influence on the history of India that still has its impact. Partitioning India and consequent creation of a congenitally antagonistic state of Pakistan was a clever, Machiavellian geo-political ploy by the UK to have her strategic influence in the subcontinent while playing footsie with Pakistan. UK has sided with Pakistan historically on almost every issue of significance to India, starting with the accession of the former princely state of the Jammu and Kashmir. UK continues to meddle in the J& K affairs and inserts itself into every opportunity. UK was the fountainhead of encouragement to the Khalistani separatist movement along with US and Canada while being in bed with Pakistan on this issue. Khalistani separatist leader Jagjeet Singh Chohan was based in London for years under the benevolent patronage of the British Crown. Tamil separatists are traditionally based in UK with their anti-Srilanka activities but also anti-India activities. UK used the state visit of her Queen to humble India by demanding separate state addresses by the British monarch in both Chennai Rajbhavan and Chandigarh Rajbhavan besides a state address in Rashtrapati Bhavan in New Delhi! This would have been a very clear violation of the diplomatic protocol and India’s sovereignty. UK still has thousands of stolen artifacts from India in its museums, art galleries and private art collections. Unlike the Greeks who have made formal demand for return of the Elgin marbles from London, the Government of India has not had the courage to legally demand repatriation of plundered arts and archeological treasures. Nor did Government of India hold the British Empire and its mandarins responsible for genocide of Indians during the Great famine of Bengal in the 1940s. Unlike Israel which has pursued the former Nazis tenaciously wherever they fled to; Government of India abdicated her national responsibility in bringing the former colonial masters to justice. Perhaps, there will be window of opportunity to get all the stolen treasures repatriated from English museums after the dissolution of the UK. A thoroughly weakened and emasculated England would not be able to justify continuing to hoard stolen Indian treasures and cultural artifacts. Lastly, a fragmented England would not be able to play its Pro-Pakistan game on the issue of J&K. India must keenly watch the events leading to the Scottish referendum of 2014 and engage the Scottish political elite in advance so that India as an emerging super-power is not left out of policy options. India needs to use the principle of reciprocity in international relations. India must not forget the lessons of history. India has to resolve the outstanding issues left over from the history with the UK or its successor state. India needs to be pro-active instead of reactive in her policy formulations. India needs to shape the geopolitical events by exercising her smart power. Here is a golden opportunity for India to address and correct some of the injustices that were heaped on her in the past. Unfortunately, India is going through a political and economic turmoil with national (parliamentary) elections scheduled for 2014. Another uncertain electoral outcome may plunge the country further deep into political as well as policy paralysis. Therefore, time is ripe now for the mandarins in the MEA to start formulating contingency plans, should an independent Scotland become a geopolitical reality in 2014. Starting with a Strategic Partnership Agreement, an extradition treaty and a Double Taxation Avoidance Treaty, the bilateral focus should be on tighter economic relationship with Scotland. North Sea oil could be imported from Scotland for the hydrocarbon needs of an energy starved India. The Tatas (who currently own the British luxury Jaguar Land Rover brand) should consider relocating their car production plants from England to up north in Scotland. The Mahindras should consider building their new SUV production plans in Scotland. Indian business houses should invest in newly independent Scotland when that reality emerges. As a nation formerly colonized by UK, almost all Indians would experience an exhilarating feeling of schadenfreude at the independence of Scotland and possible disintegration of the UK as we know it. India should act as a de facto midwife in the birth of the new nation of independent Scotland. Just like India gave her voice for the cause of decolonization of Africa, it must provide moral, material and diplomatic support for the idea of Scottish independence from the UK because it is the right thing to do. Government of India should be the first country to formally recognize an independent Scotland as and when it formally secedes from the UK. Indian civil society needs to engage with the Scottish civil society in harboring a new geopolitical reality. The naysayers had predicted breakdown of India after the British left in 1947. Despite being a “functioning anarchy” and having a “Hindu Rate of Growth”, India survives while the UK faces imminent partition, fragmentation and demise of the union. The same Nattering Nabobs of Negativism have lampooned an independent Scotland to be a “Skintland” with capital “Edinborrow”. They will be proven wrong once again! Methinks that the juggernaut of independent Scotland is too strong to be stopped. Demise of the UK is just round the corner! England has lost all her colonies except Scotland, Wales and Ireland. It is up to these colonies whether they will remain so forever. The article is interesting and apart from a couple of items fairly accurate,although maybe its just my opinion differs.There is a comment which urges a no vote well i would advocate a YES vote and for different reasons,one being it would be nice to have the rule of the country back in the hands of the people then we can also re-activate our written constitution.It is the only way forward and to abolish old grudges we must have a clean slate.Scotland is and always has been a net exporter of food,also a net exporter of power and this is without counting the North Sea Oil.There is another piece here we have more oil still to be retrieved than has been taken from the North Sea,the western side of our northern Isles and the Western Isles also have been drilled in preparation.Our hydro system is working at about 20% capacity just now,it helps keep prices high,another bad thing about being ruled from a foreign country.We have the capacity to produce from tidal , wave and wind about 60% of Europe's electricity needs,we are a country that needs the truth,and some friends. Here I come back again to write another small comment and rather an interesting observation. I notice this page is read 482 times so far in 4-5 days since published, much beyond normal average of about 100-150 for the articles of similar age (4-5 days). I am happy to notice that boloji.com is also an elite readers club ! The possible partitioning of UK debate reminds me of the current struggle to separate Telangana from Andhra Pradesh. Very interesting article and the analysis. I sincerely hope MEA prepares itself to handle the possible events as described in the article. Policy of reciprocity is what the world understands today. The first impression one gets of Mr Alex Salmond is that of sheen, the sheen of black gold that is oil, and all the blathering rhetoric that it thrives on. He comes over as an English-speaking sheik. Oil revenue, frankly, is the only tenable prospect for Scottish Independence, and if there is a division of opinion among Scottish voters it is based on a calculation. Of course, like Ireland, like India in the main, never mind America, and increasingly the rest of the world, Scotland is English-speaking. It is not as if an independent Scotland will revert to Scottish Gaelic (currently 1% speaking) and kilts. Scottish English, as it is called, is usually accented, and immediately marks out the Scot from the crowd. Scottish names are integrated in British society - Blair, Cameron and Campbell being examples of the calibre of Scottish achievement and acceptability in the UK, even presumed English. I mention this because any declaration of Scottish independence would make life problematic for those names in England. Already, the Scottish accent is almost of jocular quality, unremarked because British, as with the accented Welsh and Northern Irish. An independent Scotland would be an anachronism if ever there was one, a reversion to Rob Roy - a mentality of taking back from the English to give to the Scots, which is the perception of pro-independence Scots people. And not that oil revenue will solve all Scotland’s problems either: taxes will still rise even as unemployment rises among the populace; the habitual drift to England will be resented by the latter; and the only people to benefit would be the sheiks, as in most sheikdoms. Then there is the unresolved matter of defence... sealing the untenability of the whole project. Scotland must definitely vote no to independence; a devolution of powers to a measure of home rule, while remaining in the union, as you mention in the article, is one way to nurture the illusion of independence. In the bigger picture, European, and world, national economies are on the brink, and Britain, the UK, is keeping its head above water, where Scotland on its own could not survive. The Scottish brand name in a world context would be too weak for Tata and Co to 'change countries', and certainly would not be considered on altruistic grounds as you seem to suggest it would! In truth, England would be technically well rid of Scotland, as the parasitic status of Scotland in modern Britain is implicitly acknowledged, in terms you quote per capita public expense. Finally, any idea that England will ‘cave in’ on its own reckons without what England is, evolved to being since colonial times, not losing its greatness but adapting it – yes, technically, with hangers-on Scotland, Wales, and N Ireland – in the world today: a brand name in itself, its language spoken universally. If anything, on its own, it will focus the world on a country that is present in its manufactured goods and franchises globally; in its enormous leading contribution to the arts, sport, and sciences. Today, England is the size of the world. That is why the UK will cohere. What an exciting article. I am reminded of the philosophy of cycles, the Brahma, Visnu, Maheshwar pardigm. Only now I am reading an exciting of Madhshree Mukherjee and as a result forming a clear picture of colonial rule and what it does to the ruling and the ruled nation. World history, whatever little I know about it, is actually a story of colonizations. Humans are too notorius. They can not sit quite in an established society. They prowl, the loot, they fill their coffers with the loot. India probably does not have this tendency, having seen the tmes of the Ramayana and the Mahabharata. India too is becoming increasingly difficult to rule. Regional satraps are on the rise, giving rise to coalition politics. But, yes, everywhere local aspirations have to be provided for. If systems can be put in place, smaller countries are good. But as surplus gives flourishing of human expressions, it also unleashes power hunger and to satisfy that military stockpiling and misuse. The United Nations should come out of Dadagiri of a few nations and should be more and more pervasive. I as an Indian would like England, Scotland, Wales and Ireland to cohabit as much as I would like India, Pakistan, Bangladesh, Sri Lanka, Nepal, Bhutan, Afganistan, Burma to cohabit. Let the World civilization come out of colonial political format.